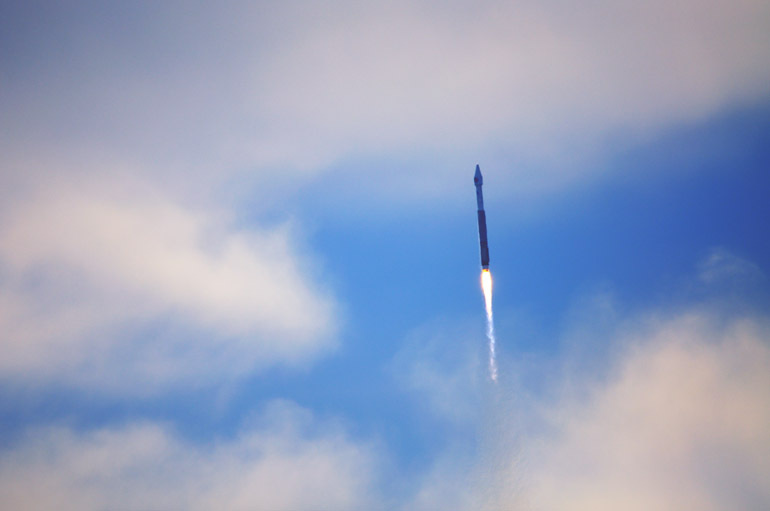 On the second attempt, the weather cooperated for an Altas V rocket to deliver NASA's Solar Dynamics Observatory into orbit Thursday morning. For the first time, I shot the launch from Playalinda Beach, which is part of the Merritt Island National Wildlife Refuge and is sometimes closed for launches from Cape Canaveral Air Force Station. 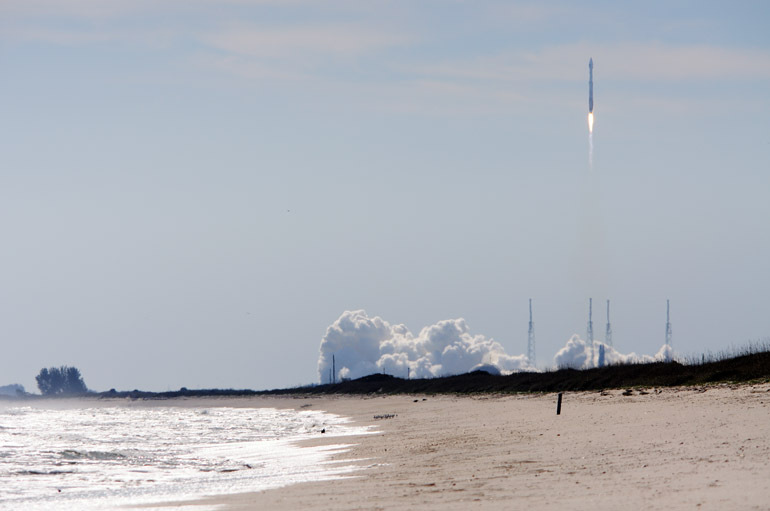 At five miles, it's the closest that members of the public can get to an Atlas V launch. Beach access nearer the launch pad is restricted, so many people gather near a fence that NASA constructed for the safety of the public. Above, the rocket lifts off. It did not have solid rocket boosters attached, so there is no visible smoke trail. Such configuration also reduces the rumble that observers hear. Being south of the pad for this 10:23 a.m. launch meant that the sun was shining directly at me. This made exposing the sky and the rocket very difficult. As is the case in all of these photos, the rocket is dark because of the harsh sunlight. 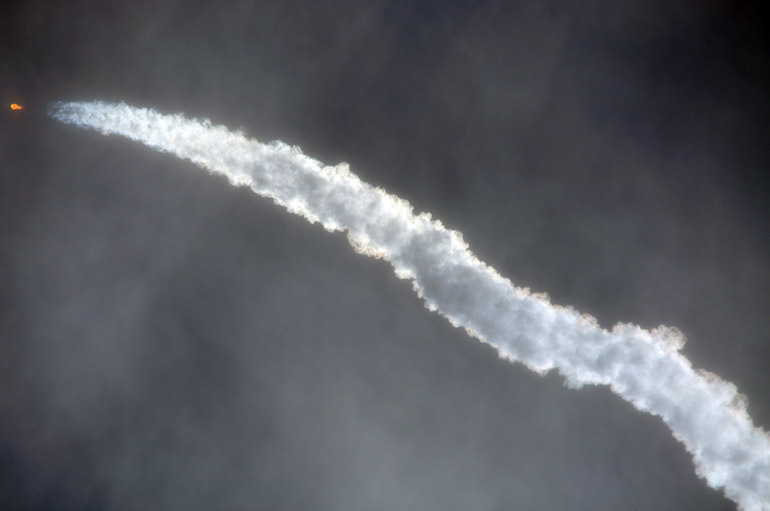 As the rocket hit colder temperatures in the atmosphere, a contrail began to condense. This was taken just after the rocket passed in front of the sun, at which time my camera seized up because of an overload of light. 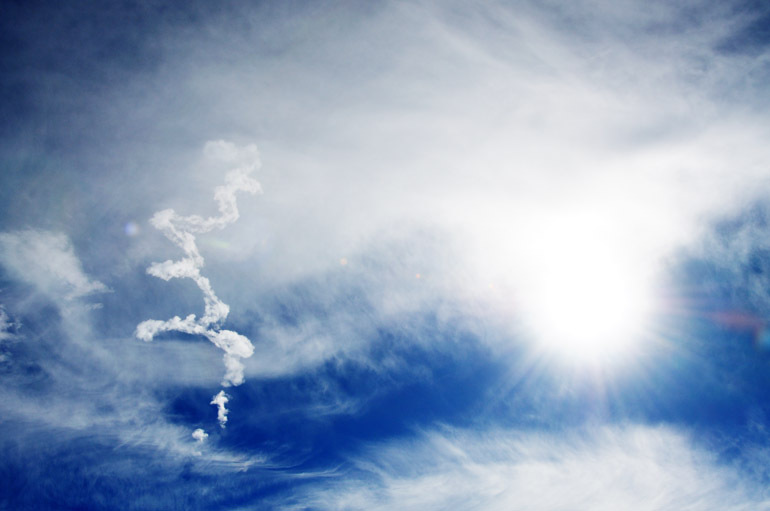 As is apparent from this photo, it was impossible to correctly expose the sky and the contrail. But what resulted was an interesting, contrasty shot with only the contrail exposed correctly. The photo also appears monochrome, aside from the rocket engine's flame. The contrail dissipates as the sun continues to mercilessly beat down on the beach. It wasn't warm, though: The temperature was about 40 degrees. A 20-mph wind made it feel colder. 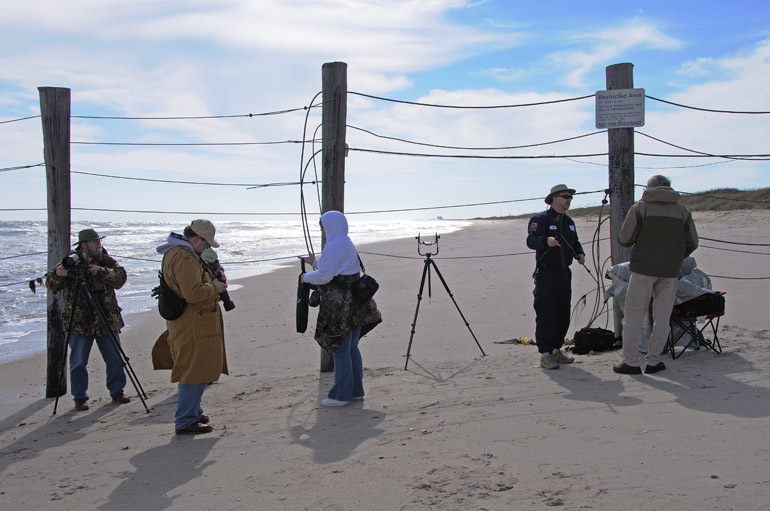 Photographers gather their equipment after the launch. It wouldn't be difficult to scoot through this fence, but the Air Force mans a nearby watchtower to prevent that from happening - or to punish people who do make that happen. Liked the photo of the contrail! Thanks! I think it's my favorite of the bunch, too.